Those are nice figures. I haven't played with overclocking and running mine on factory settings. Getting an average of 750sol @ 265W per card. Temperatures are stable at around 55°C. When mining guys, make sure you got good ventilation and circulation! When you run a lot of cards at 100% a lot of the chemicals use to make them leech out into the air once it heats up. Just something to keep in mind of, its something that specifically designed in datacenters. Altima wrote: Was busy accumulating, building, troubleshooting and finally my mining project is complete! Currently mining ZClassic in anticipation of the Bitcoin Private snapshot that's coming up! While I do endeavor to one day have my own rig, there are a lot of variables involved. I recently discovered an ICO that will be essentially selling shares of their mining operations. I've seen several ICOs do this actually, but I had several concerns previously. One company was going to set up modular units as close as possible to low cost energy, but my concern there was security.... especially after several hundred bitcoin mining rigs were stolen in Iceland recently. This ICO will operate out of a cave in Kazakhstan, with an energy operating cost of 3 cents per Kwh. Investors will be paid monthly starting around AUG 2018, and they claim an initial payback period of 4 months. I will estimate 8-12 months to be conservative. But even if it takes a year, assuming this isn't a scam, you then continue receiving mining profits as long as you continue holding their token (ROCK2). Check it out. I’ve seen these type of mining share operations before, and I always get a strange vibe from them. What would keep them from just packing up, selling all the rigs (or keeping them) and just walking away with everything? It seems like the BitConnect of mining. If they had all the mining operation going in a sweet cave, why not just keep all the profits to themselves? If they are using the ICO to raise the funds for the operation, it still makes me wonder what keeps them from walking away once they have the funding. Doubt theyll be chased down by the Kazakhstani police. This is why I like mining with my own equipment. 100% control. It’s like holding your own gold and silver vs going w a company like Bullion Direct. The only benefit I see to going with a project like this is if you don’t have the space to run your own rigs. I’d say also if you don’t have the technical knowledge, but mining is actually really easy. joefro wrote: I’ve seen these type of mining share operations before, and I always get a strange vibe from them. What would keep them from just packing up, selling all the rigs (or keeping them) and just walking away with everything? It seems like the BitConnect of mining. If they had all the mining operation going in a sweet cave, why not just keep all the profits to themselves? If they are using the ICO to raise the funds for the operation, it still makes me wonder what keeps them from walking away once they have the funding. Doubt theyll be chased down by the Kazakhstani police. Additionally, I was a bit suspicious of their claimed returns, and this guy did some math on it and thinks they've grossly overstated it too. So with the reduced returns, and a large exit-scam risk - I doubt it is worth it. Promising huge ROI is a big red flag for sure. In fact it is illegal for US companies. The SEC would categorize this as an unlicensed security, and I suspect they will receive a cease and desist from the state of Texas like many similar ICOs have already. The largest promoters of BitConnect in the US are now facing several lawsuits and even looking at criminal charges. The fact that that website even has a bar to calculate your ROI which shows a $1000 investment will return over $17000 in three years is just shady as hell. Not a big fan of companies who "share" their dividends from mining or even their hash rates. This applies to Genesis Mining, and the recently launched Envion. I'm hard pressed to even recommend any, but you could consider GigaWatt. I have 1 D3 and 1 L3+ miner there. Even so, I had to wait from the moment I bought their tokens (July last year) to end February of this year before my miners finally got switched on. That's a complete shitshow if you ask me! Altima wrote: Not a big fan of companies who "share" their dividends from mining or even their hash rates. This applies to Genesis Mining, and the recently launched Envion. My buddy did the same. Mining isn't worth it from a health or operational perspective unless you are specialized to do it. Do your rigs allow for mining of Monero? I assume so. I am contemplating mining QRL during it's PoW phase until it switches to PoS in/around Q3 2018. QRL techs say if you are able to mine Monero with your rig, then you would be able to mine QRL as it uses Cryptonight. 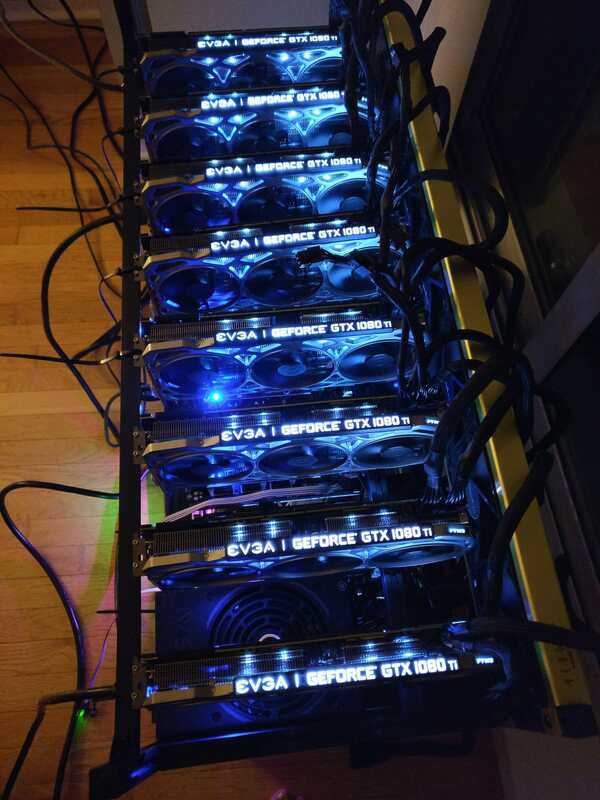 Yep, GTX 1070s can mine Monero and the Cryptonight algorithm and generate profit. It's just a question of if it is the most profitable at any given time. 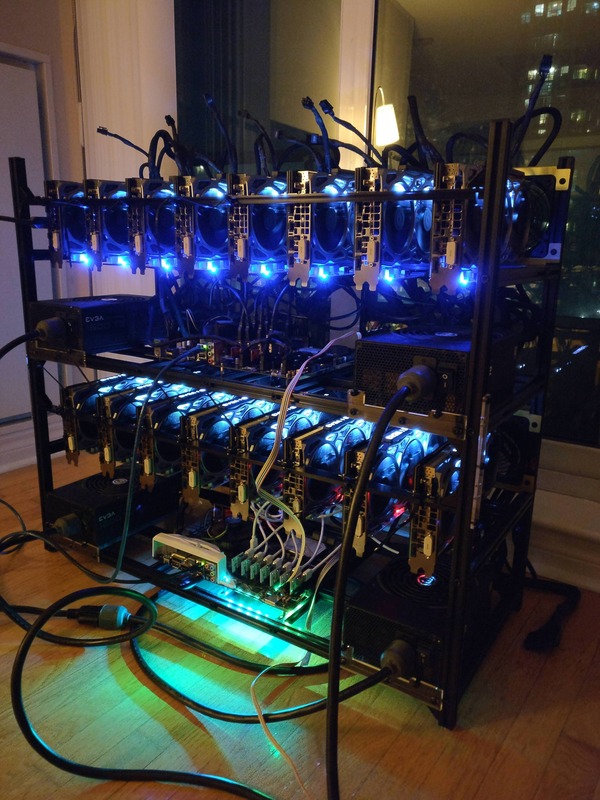 For our personal rigs, we have them set up to mine using NiceHash which does a very thorough benchmarking on your specific rig, and then it automatically switches you to mine whatever is currently most profitable. It pays you out daily in BTC, which is free to withdraw to a Coinbase/GDAX account... so of course you can turn BTC into Monero, QRL, or anything else you want on the exchanges. If you want to mine Monero or QRL directly, it can do it but it may not necessarily be the most profitable way to utilize the rig compared to mining something else and then converting that into your desired coin.